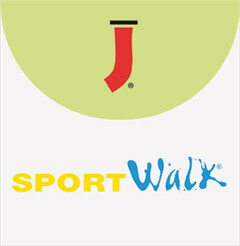 SportWalk is a slip-resistant textured surface and waterproof adhesive, allowing for short-term outdoor usage. Simple application for short-term outdoor event graphics that does not require lamination. 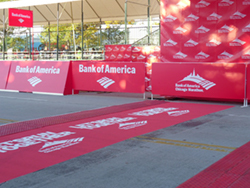 Ideal for marathons, parades, retail POP, trade shows, etc on smooth surfaces. Safe for pedestrian traffic and even maintains its non-slip properties when wet.